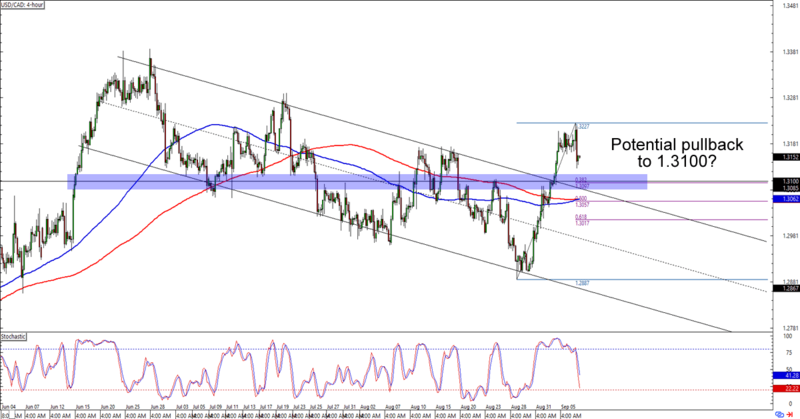 We’re looking at trend-retracement plays on GBP/USD and USD/CAD today. Time to bring your top dollar-trading strategies! Guess who’s back, back again? The Real Slim Shady got nothing on Cable, which is a hair’s breadth away from the 1.2950 minor psychological handle. What makes the area more interesting is that it’s right around the 200 SMA AND a falling trend line resistance that hasn’t been broken since mid-May. Think the pound is in for more losses against the Greenback? Breakout alert! USD/CAD has broken above a falling channel but has encountered resistance around the 1.3200 major psychological handle. 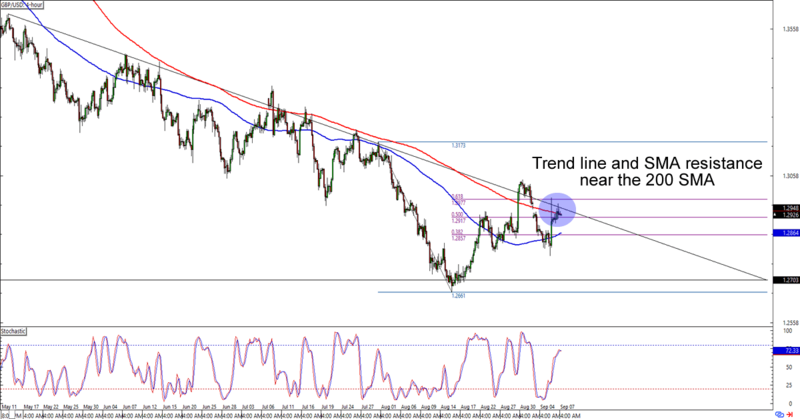 The 1.3100 level is a good area to watch since it lines up with a 38.2% Fib retracement and has served as support and resistance for USD/CAD since early July. Buying at the earliest signs of bullish momentum is a good play if you believe that the Greenback bulls won’t wait around before hitting new monthly highs. If you’re expecting a deeper pullback, however, then you might want to wait for possible dips to the 38.2% Fib, the 50% Fib near the SMAs, or an oversold stochastic signal.